‘Stance’ draws on Tom’s experience as a competitive fencer, the technique and physicality of the sport, translating into a movement language. Tom is studying at Rambert School for Ballet and Contemporary. 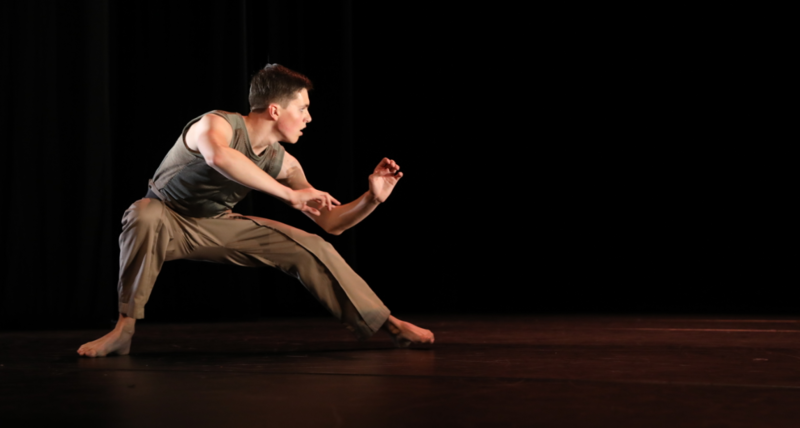 Piece ‘Stance’ was premiered at Rambert’s student choreographic showcase at the Anya Liden Studio Theatre. Over the past year, he has been on tour with Yorke Dance Project, in the revival of Sir Kenneth McMillan’s ballet ‘Playground’.